One of the best things we can do in today’s world is to become more self-reliant. We live in an unstable world and an uncertain future, especially when it comes to the fundamentals of food and health freedom. Take the power out of the big corporations and place it back in your own hands. We are in charge of our health and our destiny, not some corporate conglomerate with lots of money to spend on clever marketing. Many of the skills that our grandparents had have been lost over the last 50+ years. It’s time to get back to basics and take charge of our lives! Taking control of our food is the best way to become self-reliant, and healthier. 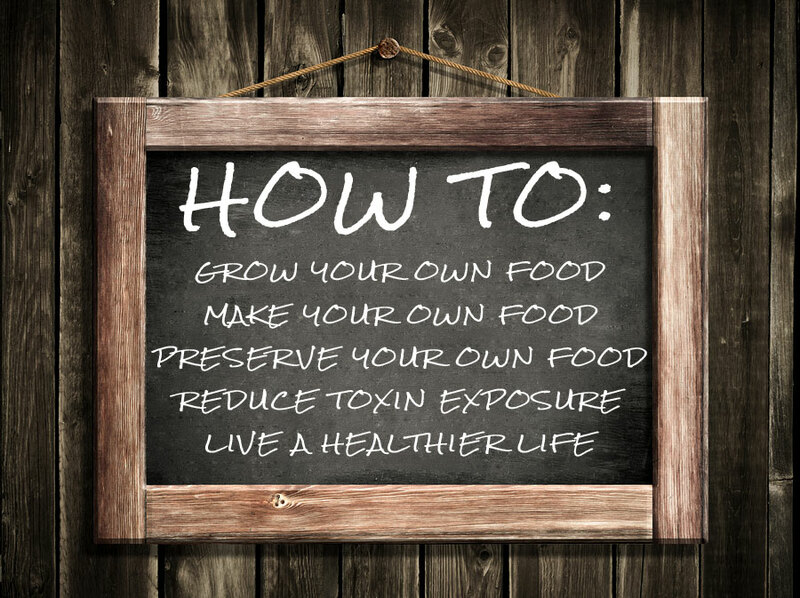 Growing your own food, no matter how big or small your space is, will make you feel empowered, giving you the confidence to explore other ways to take charge of your own destiny! Some other easy ways to take control is to start making certain things at home, like household cleaners, health and beauty products, processed food replacements, and more. Click here for a full list of real food, nourishing recipes. Click here for a full list of health and wellness articles to help you live a vibrant life. Click here for a full list of Coconut Oil and Health articles. Click here for recommendations of products I love. For recommendations on real food ingredients, brands I trust, and products I use personally in my own home, please visit my Products I Love page here.